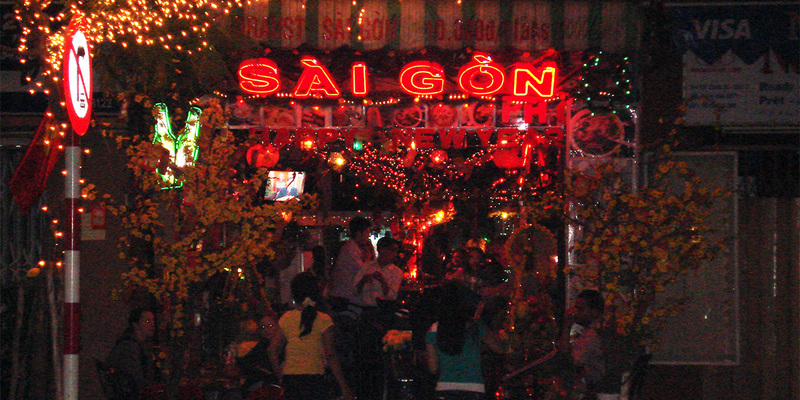 Saigon Pho is a bar located in the Pham Ngu Lao backpackers area. The bar serves reasonably priced drinks and great food with a very large menu selection considering the relatively modest size of the establishment. Saigon Pho is also one of the very few bars in the city, if not the only one that remains open 24 hours, 7 days a week.